Part ‘C’ of our two-year alphabetical pub crawl around London. 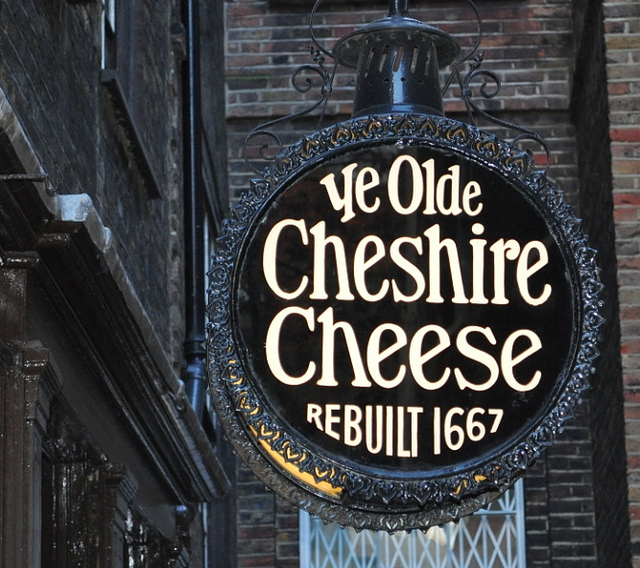 Last week, we asked you to nominate your favourite pubs and bars in the City of London. The biggest surprise was just how many people think the 'City' or 'Square Mile' is the whole of London, rather than the ancient quarter where the bankers hang out. We got votes for pubs as far away as Lambeth. Here’s a map of all the recommended pubs in the area. Dotted green pins denote the top four, which will form our pub crawl (see below), yellow pins represent the rest of the top 10, and red pins indicate other nominated pubs. Voting was less popular than for previous pub crawls, possibly because few people live or regularly go out in the City. 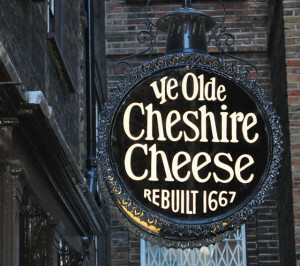 Ye Olde Cheshire Cheese ran away with the votes, getting 17 nods, more than double the second placed Blackfriar (8 votes). That said, more locations were nominated than either of our previous pub crawls, with 44 venues (see map). So, now, the pub crawl. Join us for a tour of the top 4 on Monday 30 April. Three of the pubs are close together, while the fourth (the Old Red Cow) is a bit of a trek. Here's the itinerary. All participants will get a Londonist booze badge, and the first to find us gets a t-shirt. If you'd like to come along, please send an email to matt@londonist.com, so we can keep an eye on numbers. Beers in! Image of the winning pub by Beth PH in the Londonist Flickr pool.